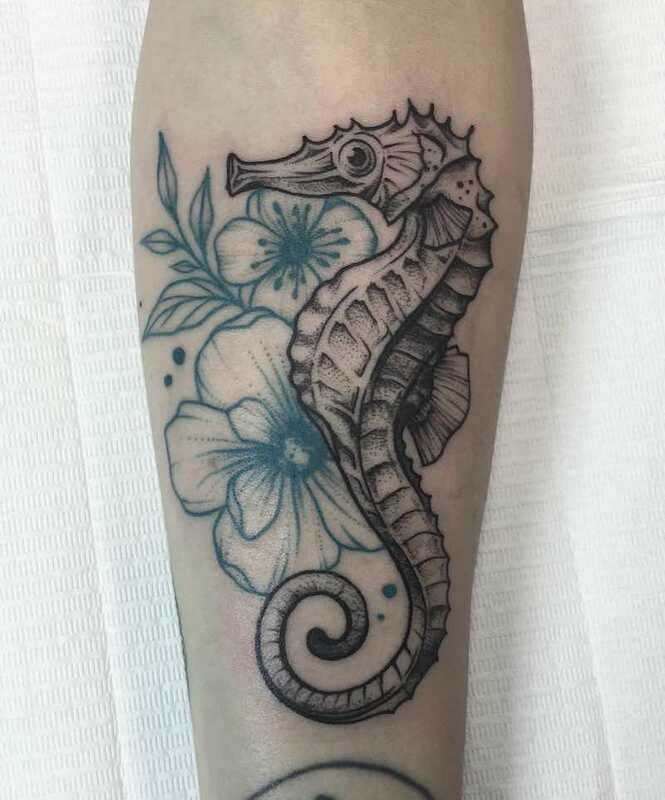 The seahorse is an amazing little fish (yes, seahorses are actually fish). 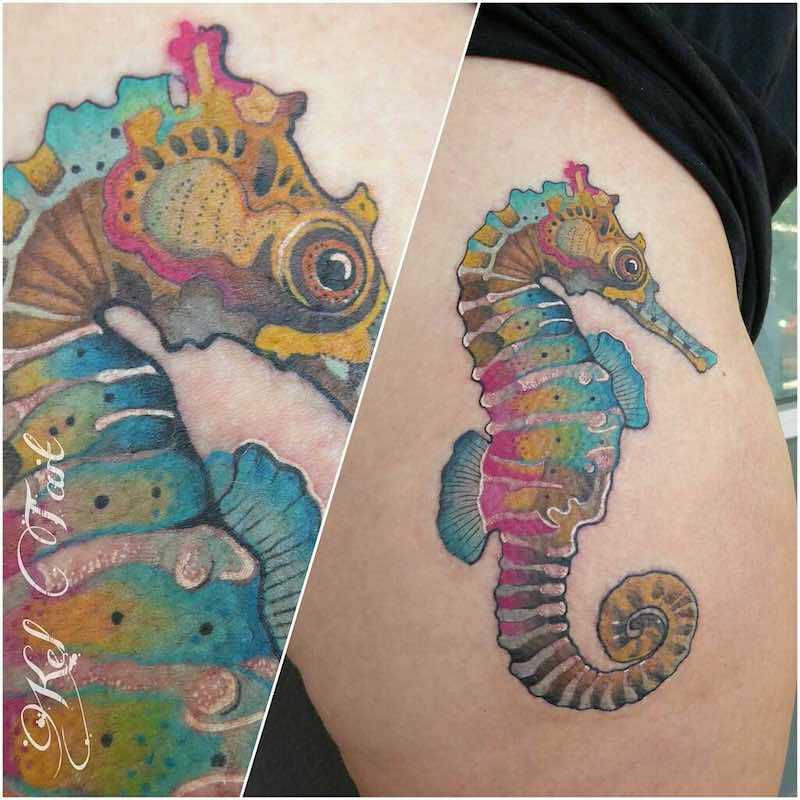 Seahorses can change their colors to blend in with their environments and give birth to thousands of babies at a time. 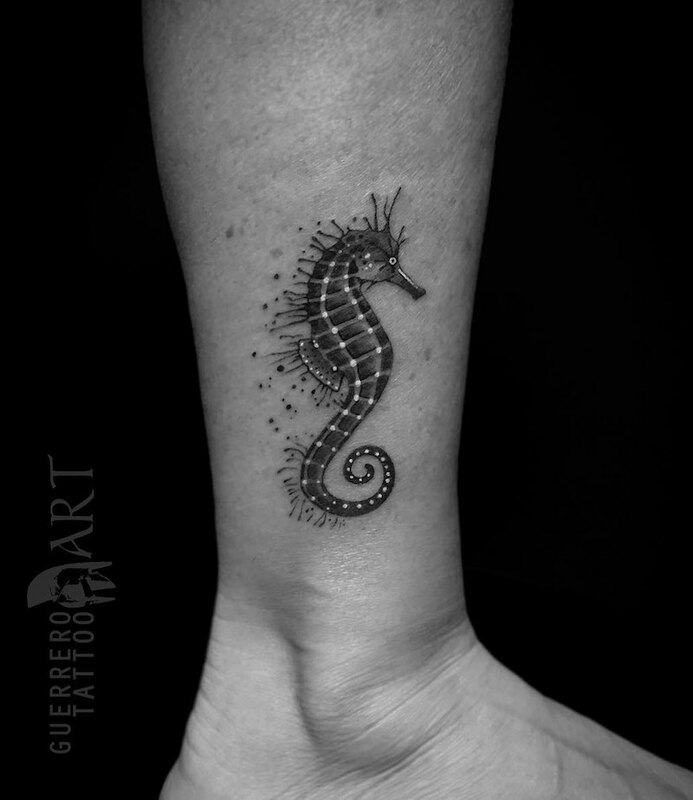 Interestingly enough, it is the male seahorse that gives birth to these little seahorses. 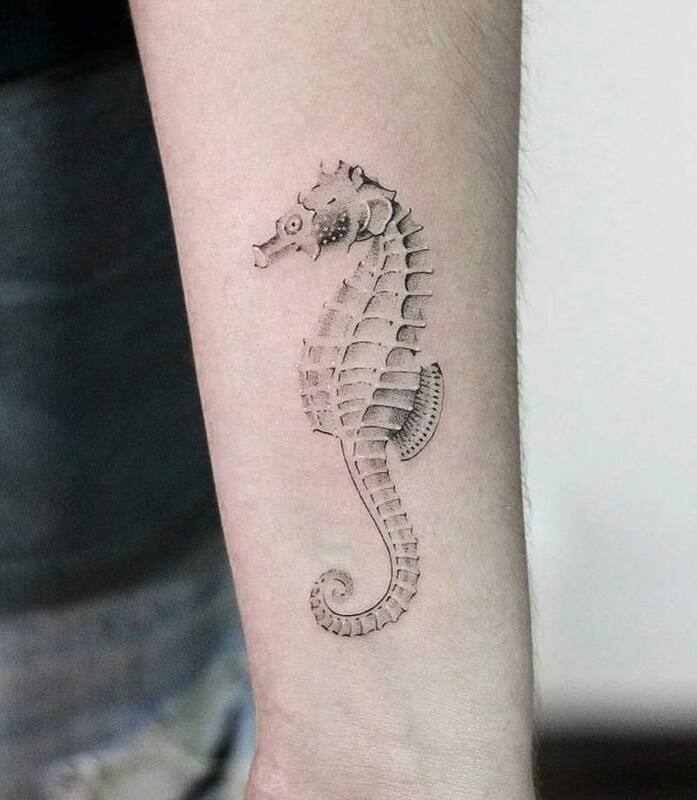 The scientific word for seahorse is Hippocampus which in ancient Greek translates to horse (hippos) and sea-monster (kámpos). 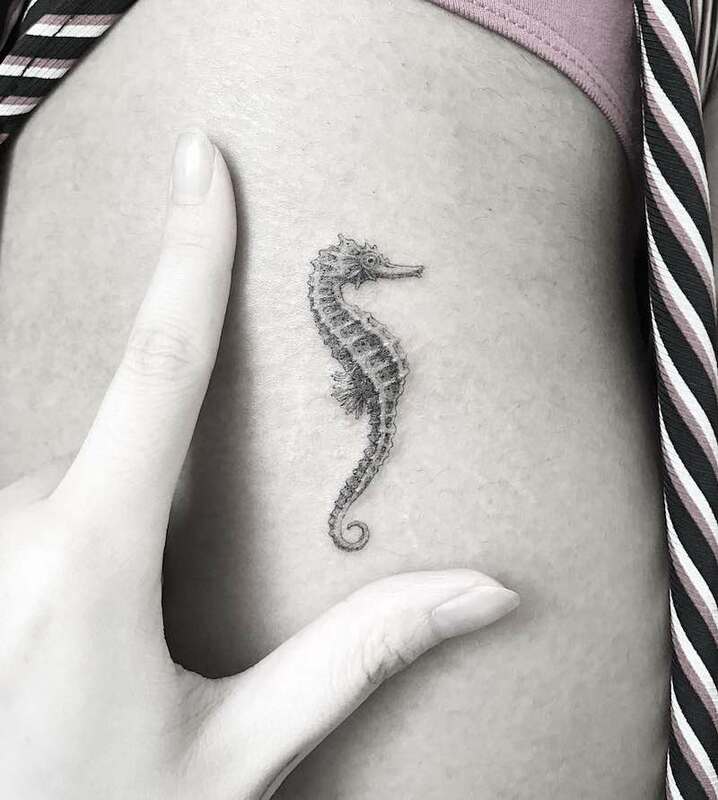 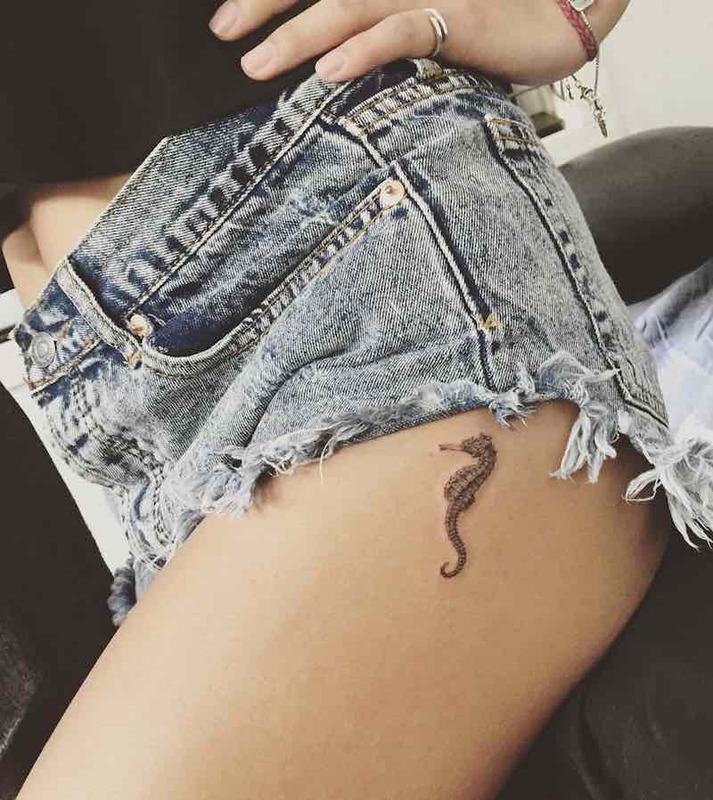 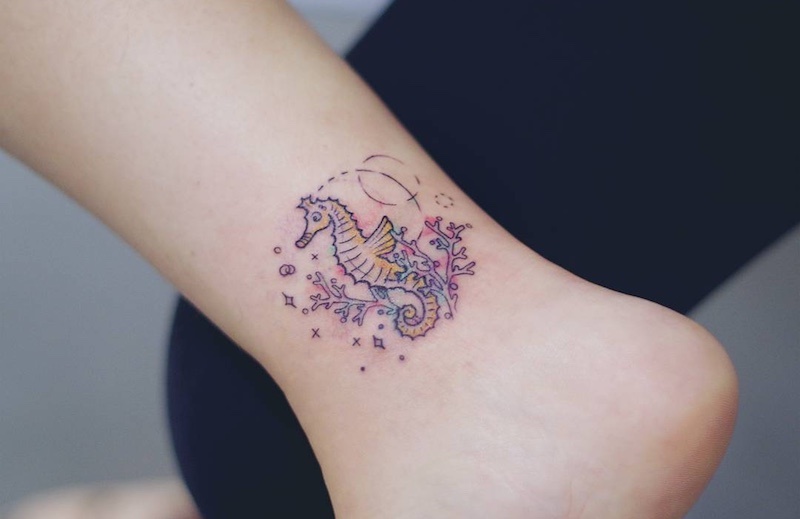 A seahorse tattoo can symbolize many things including friendship, fragility, beauty, a love of marine life or even just your personal connection with the animal. 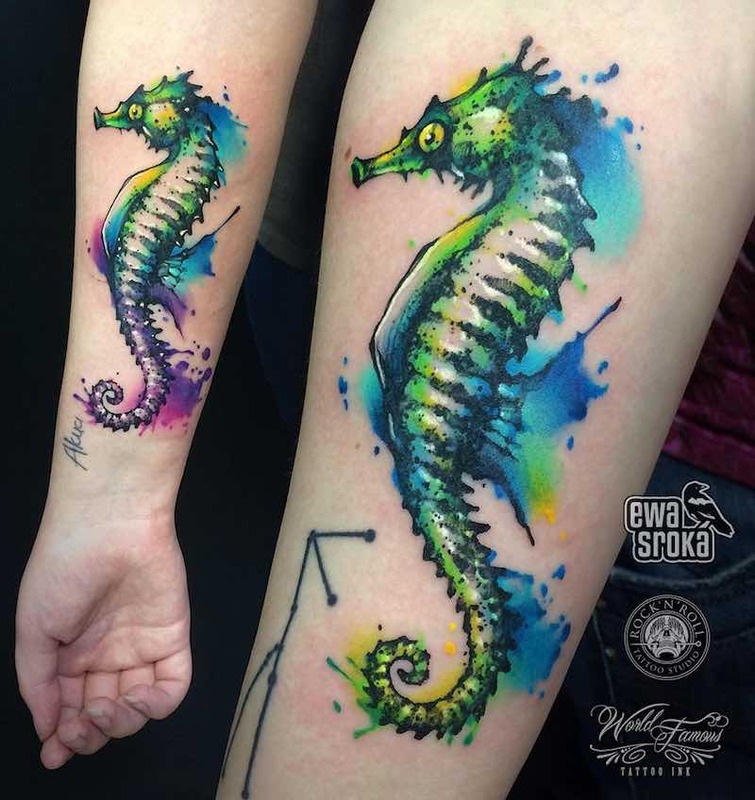 Seahorses like to swim in pairs with their tails connected, they also mate for life, making seahorse tattoos a great idea for couple’s tattoos or matching friendship tattoos. 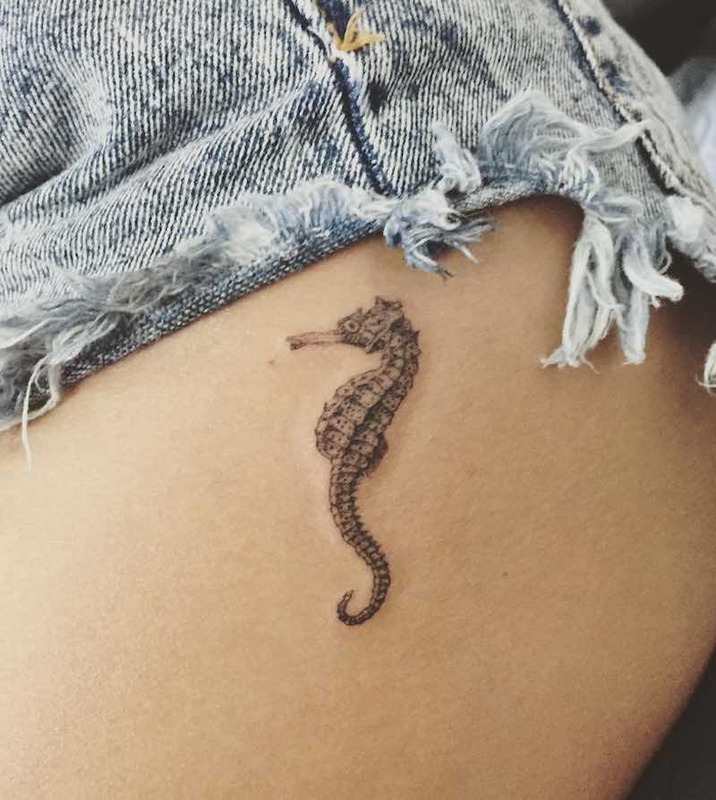 Seahorse tattoos come in a variety of shapes, sizes, and styles, the most popular being a small black and grey seahorse tattoo design typically done with a single needle. 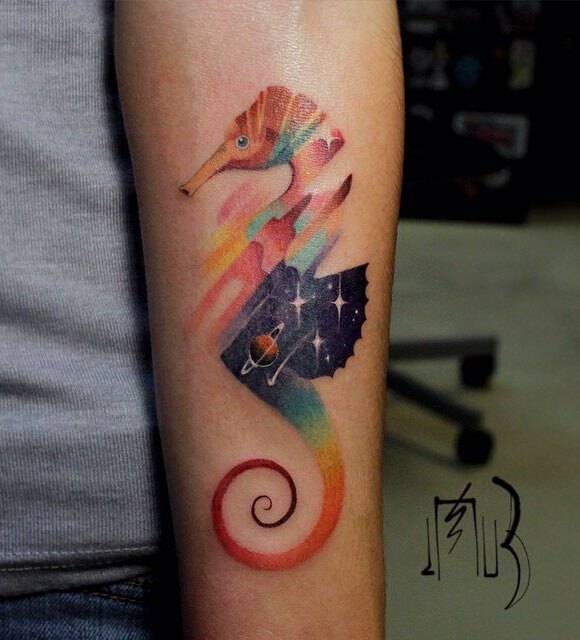 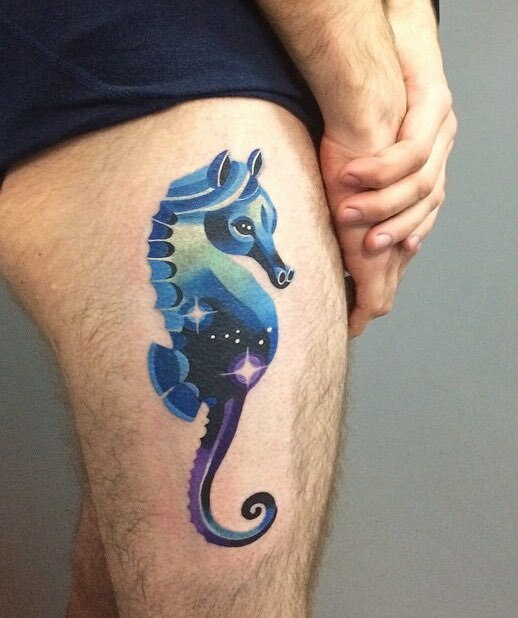 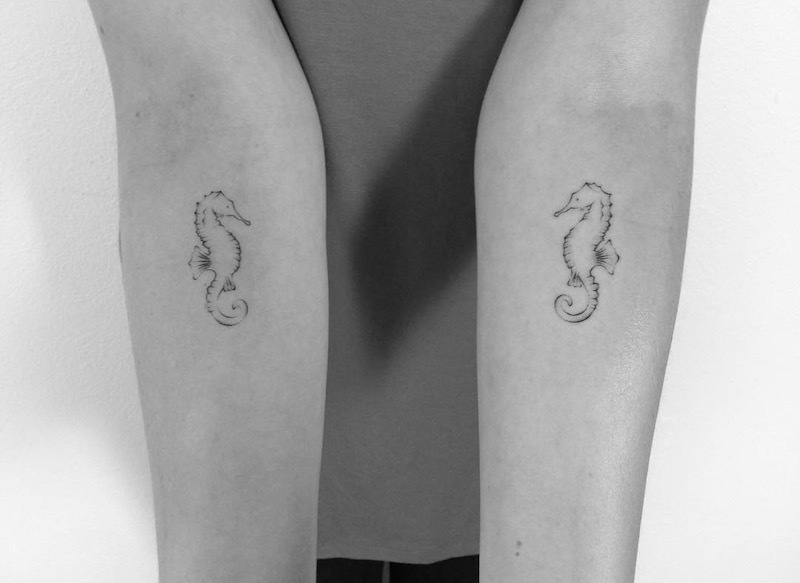 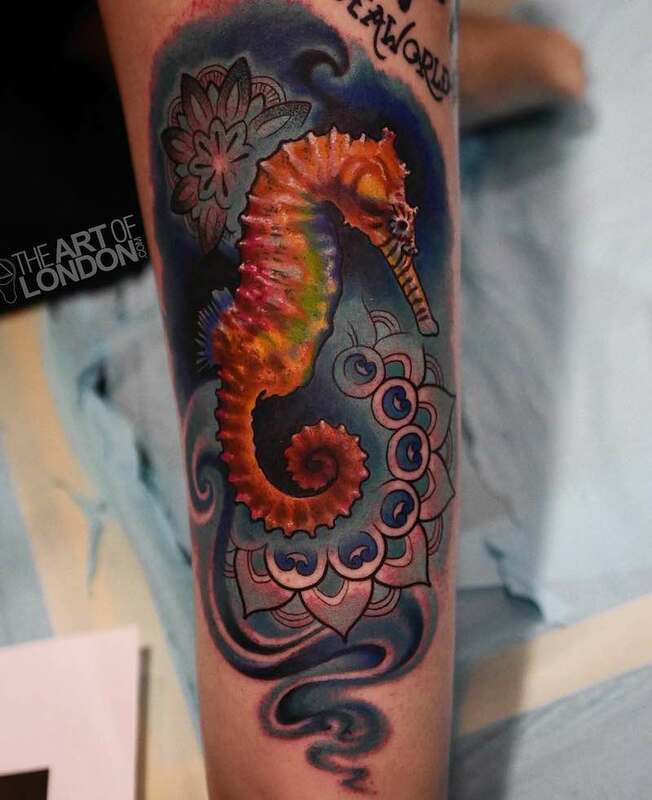 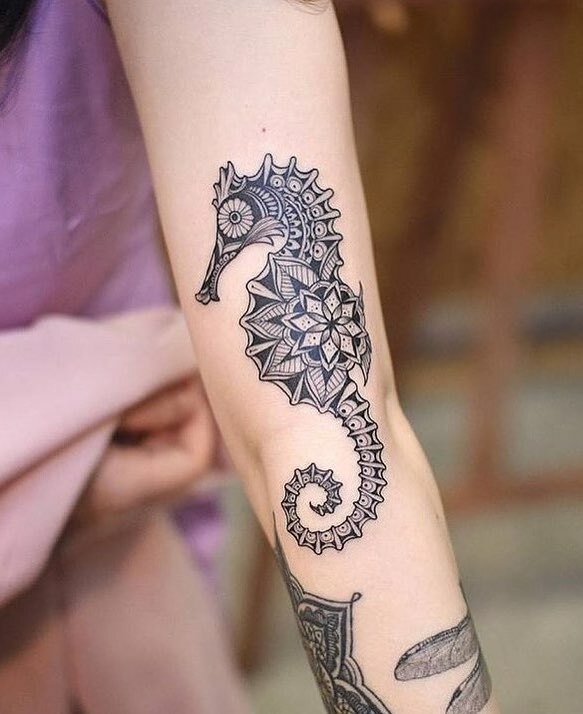 This style of seahorse tattoo can look stunning when done right. 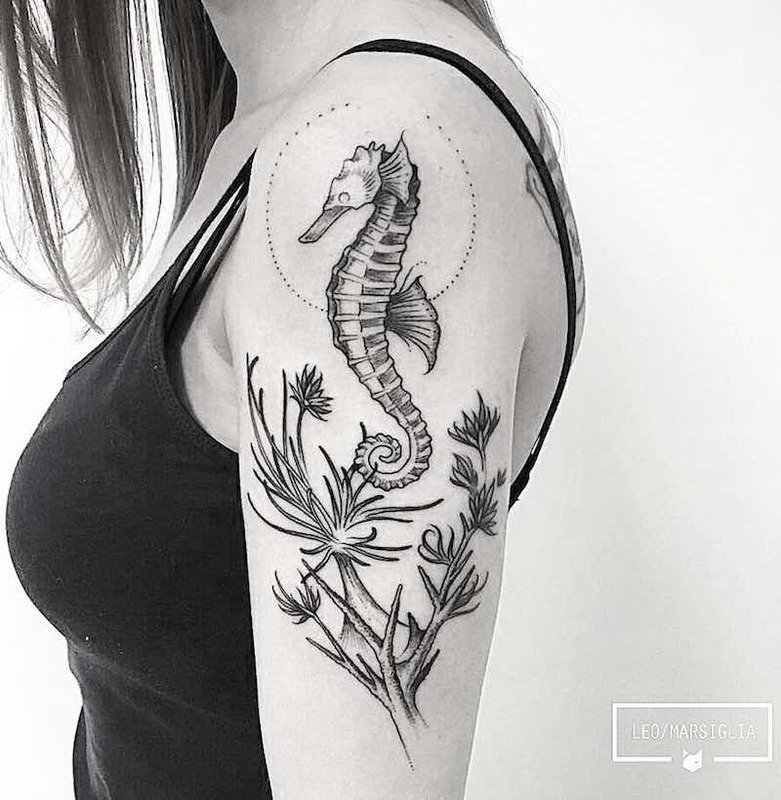 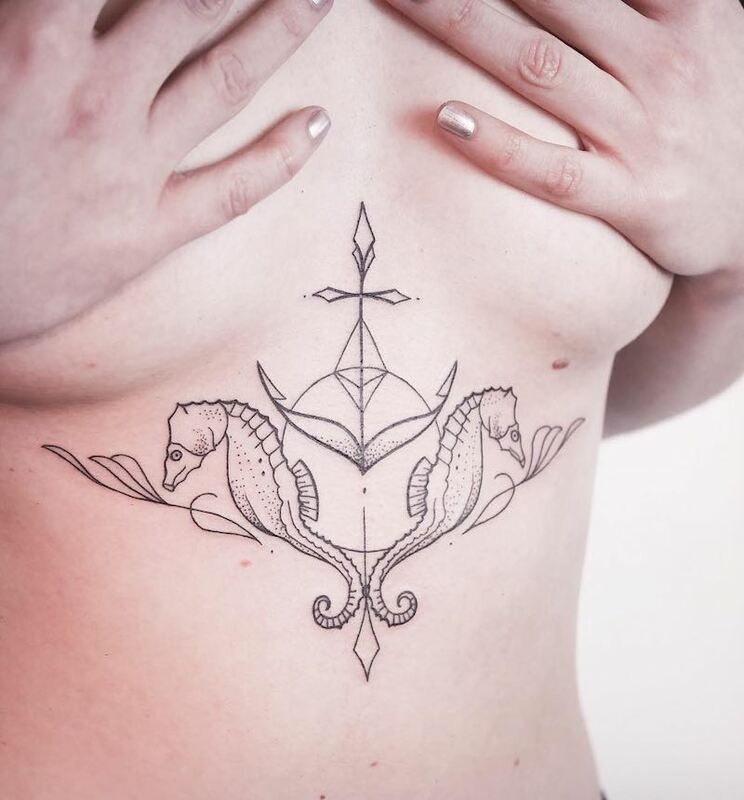 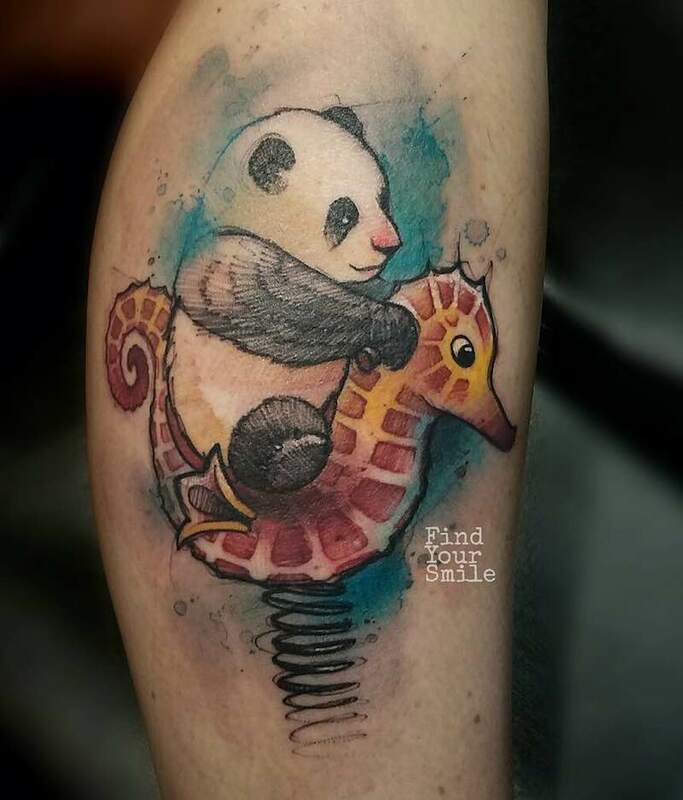 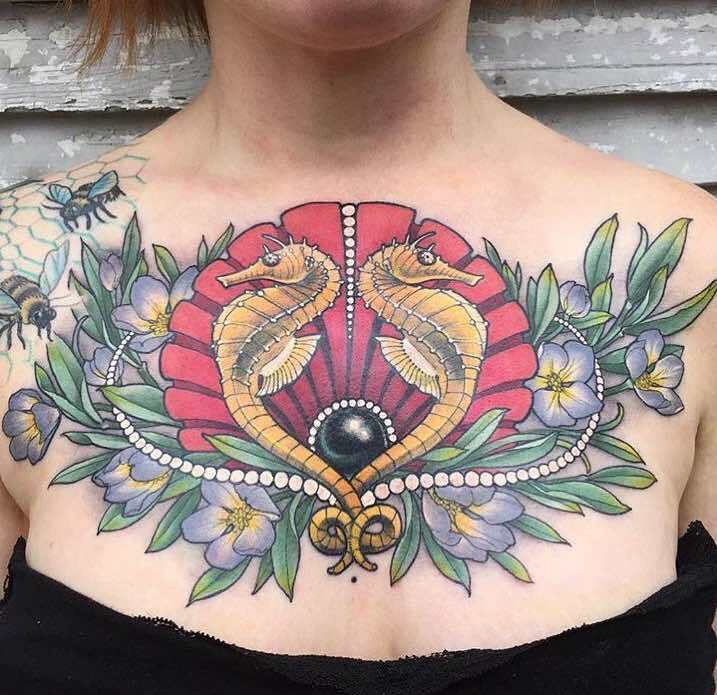 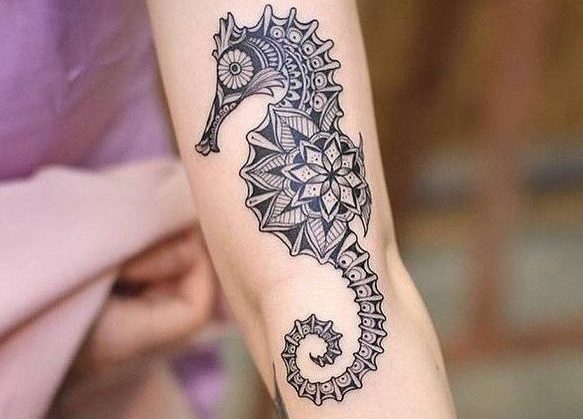 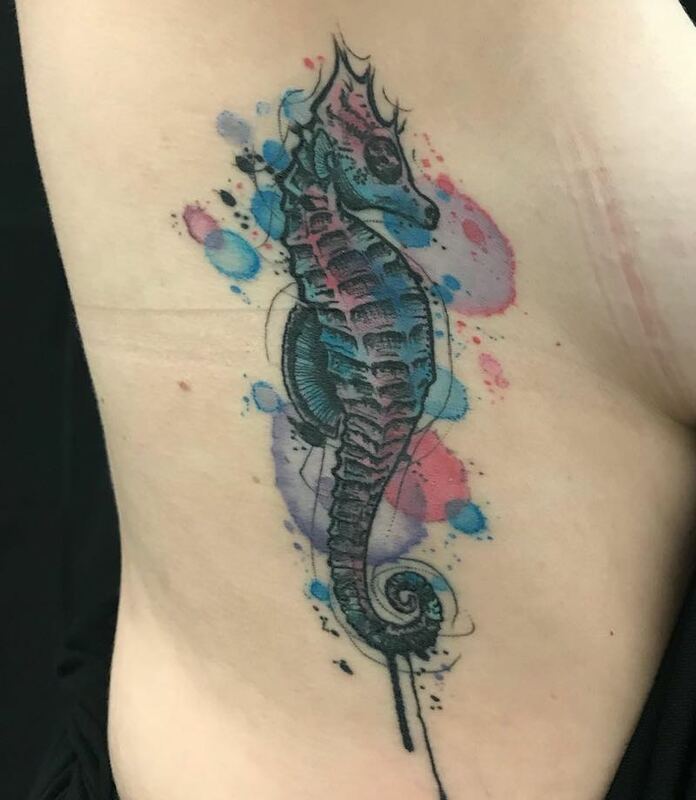 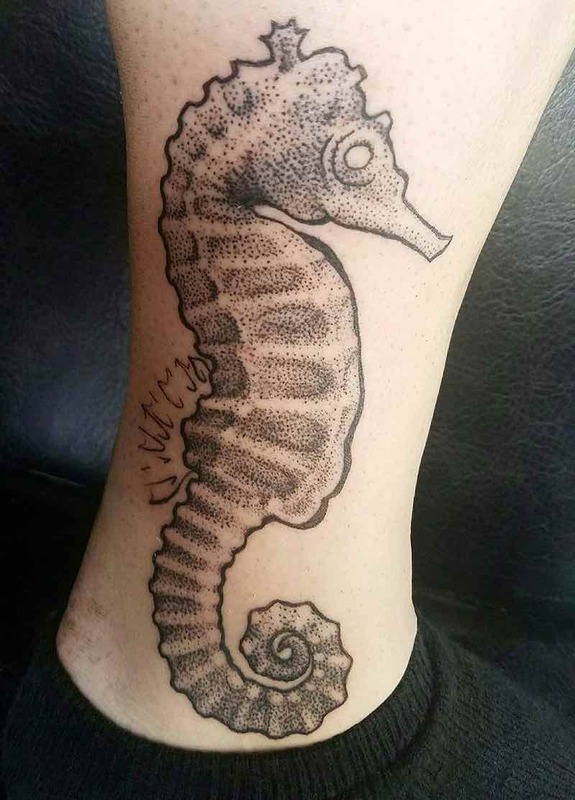 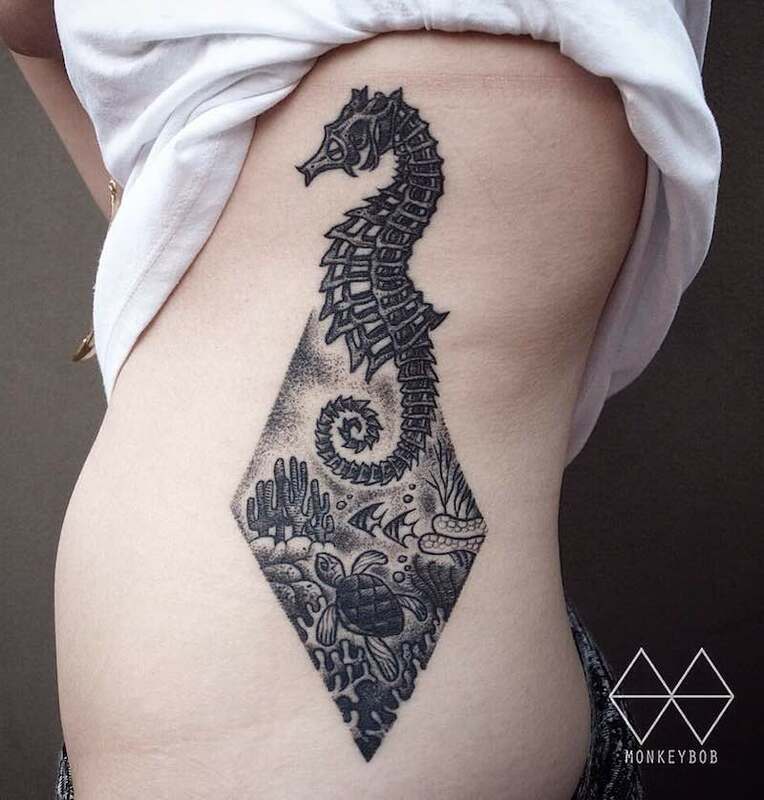 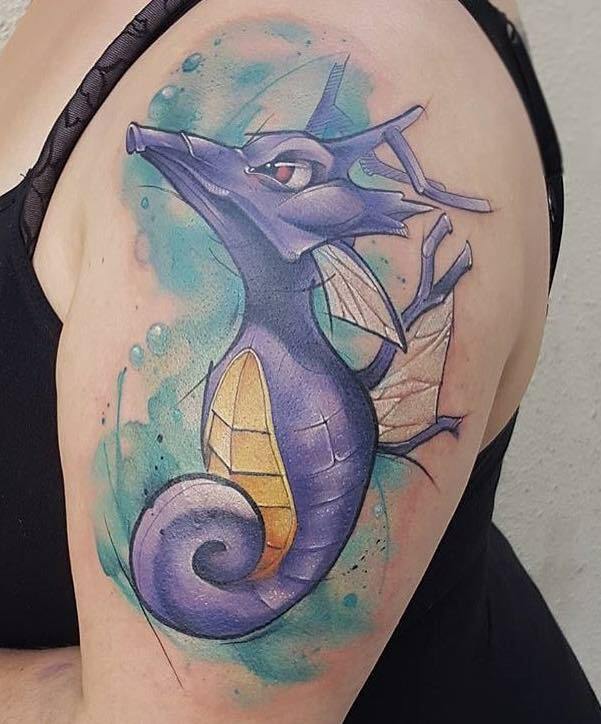 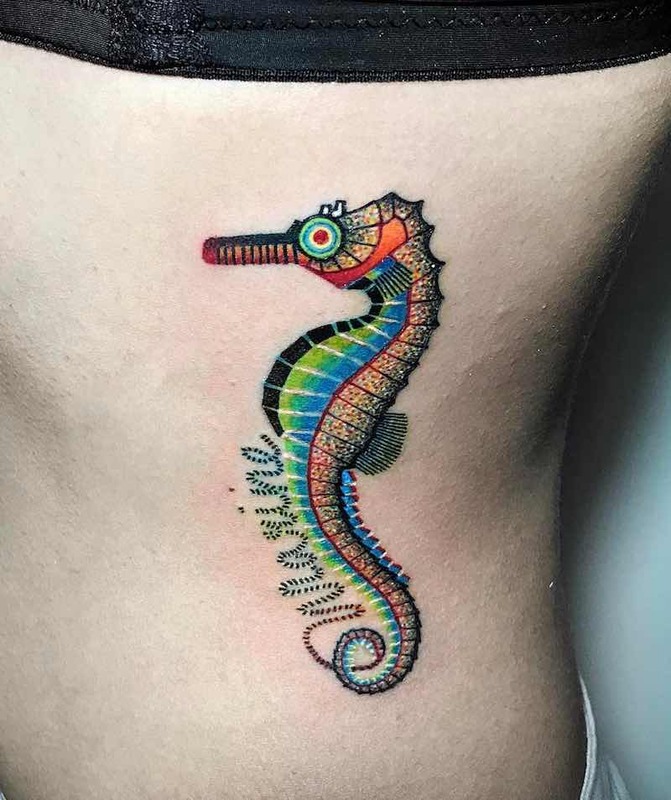 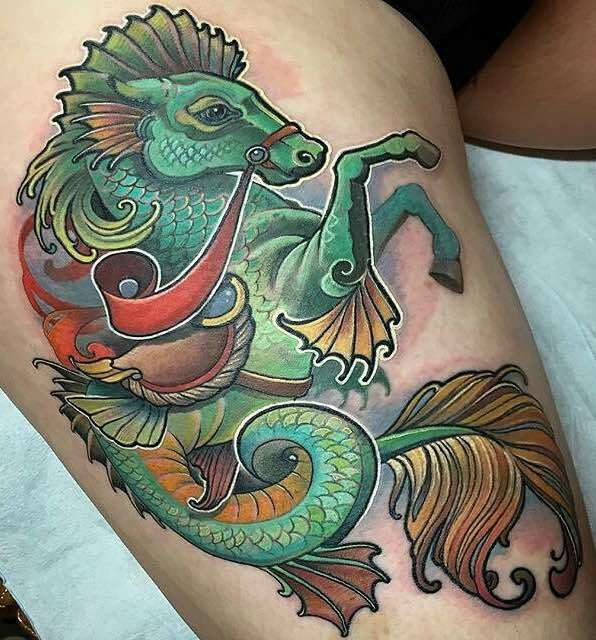 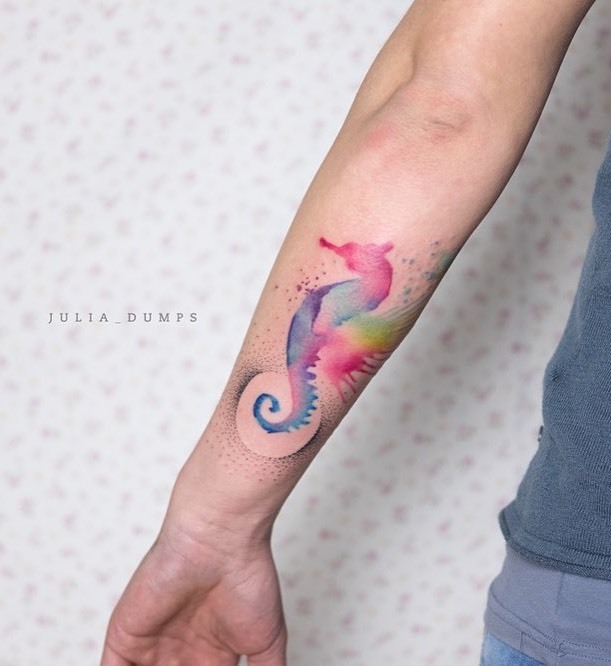 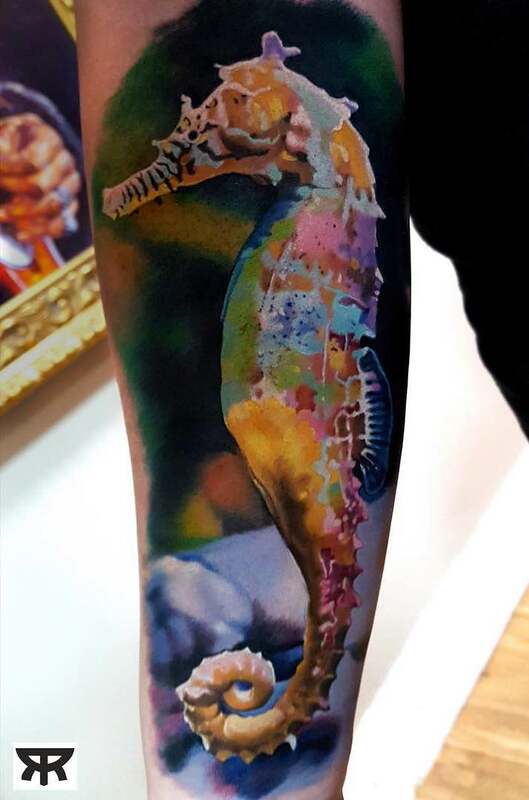 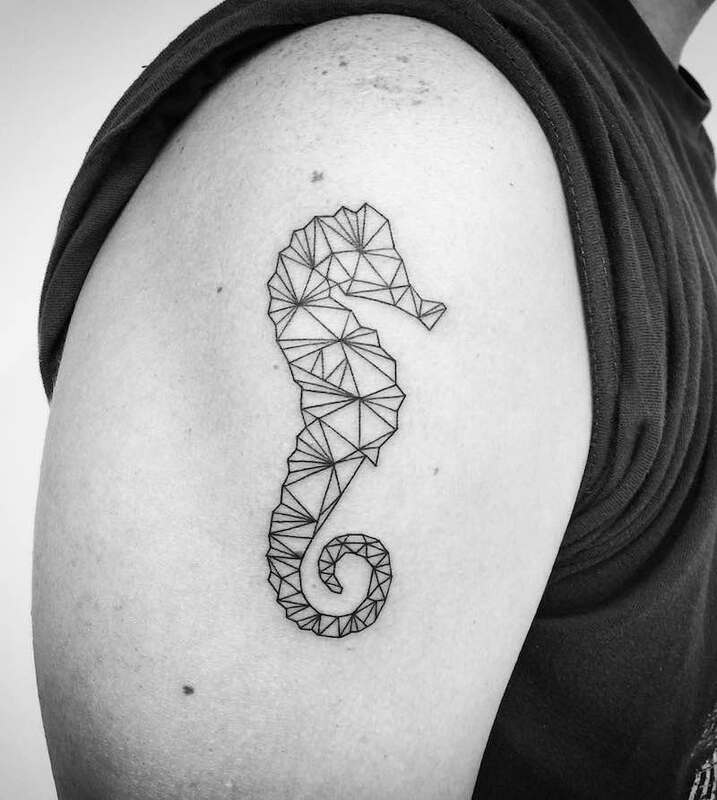 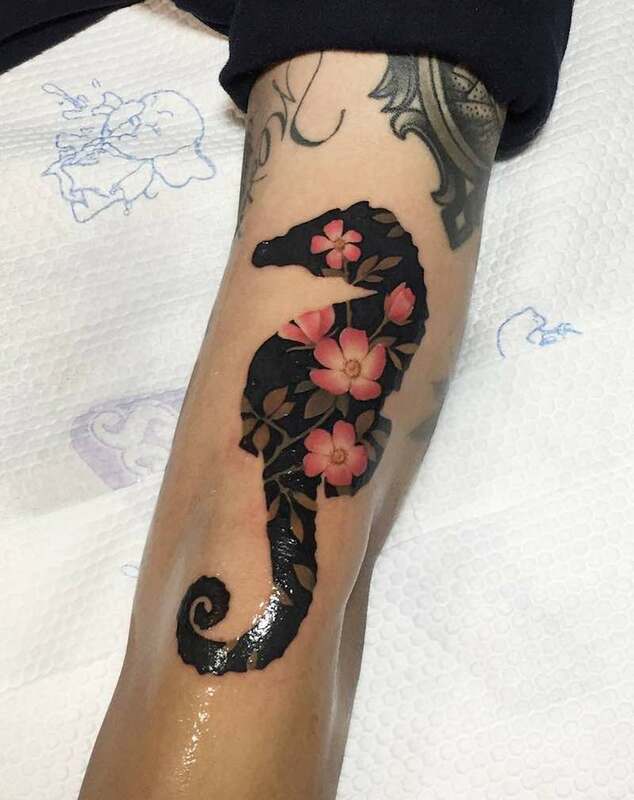 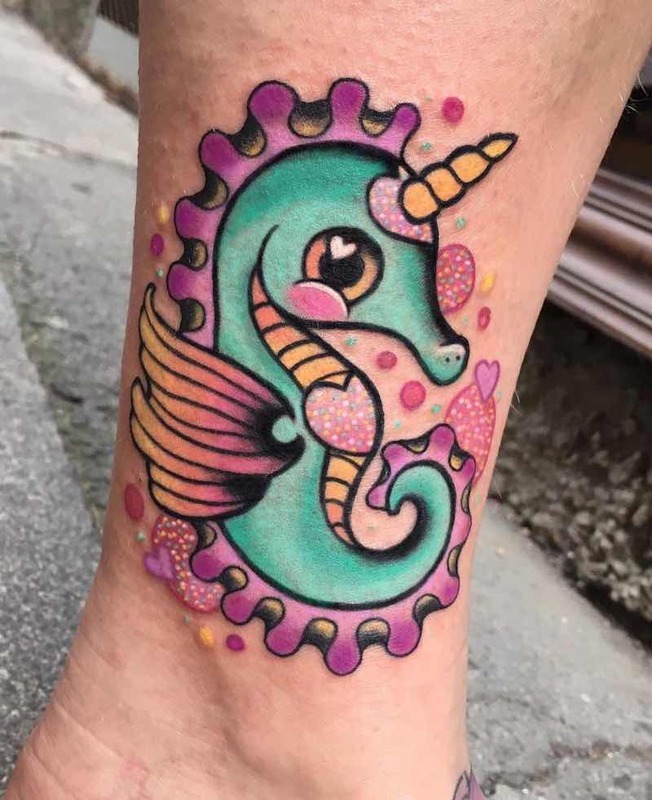 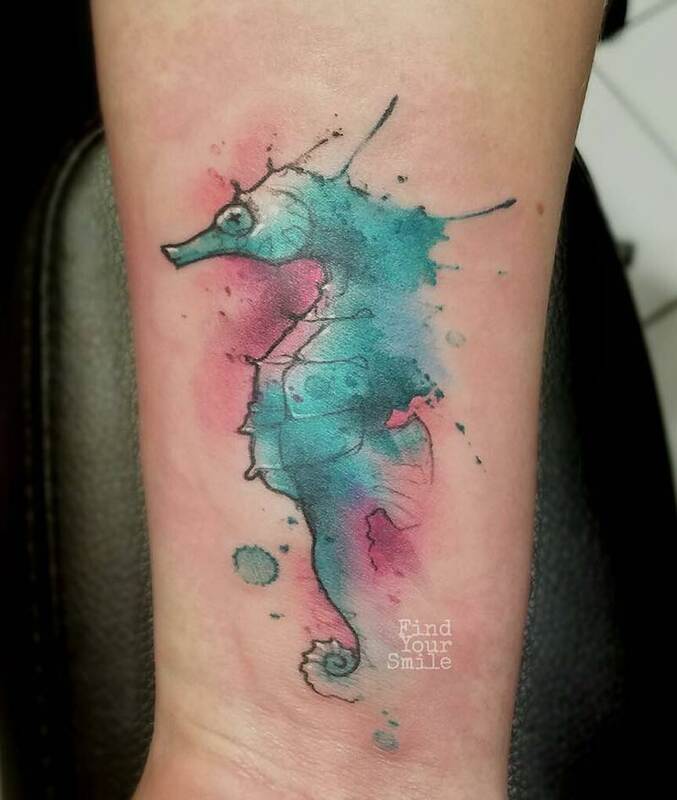 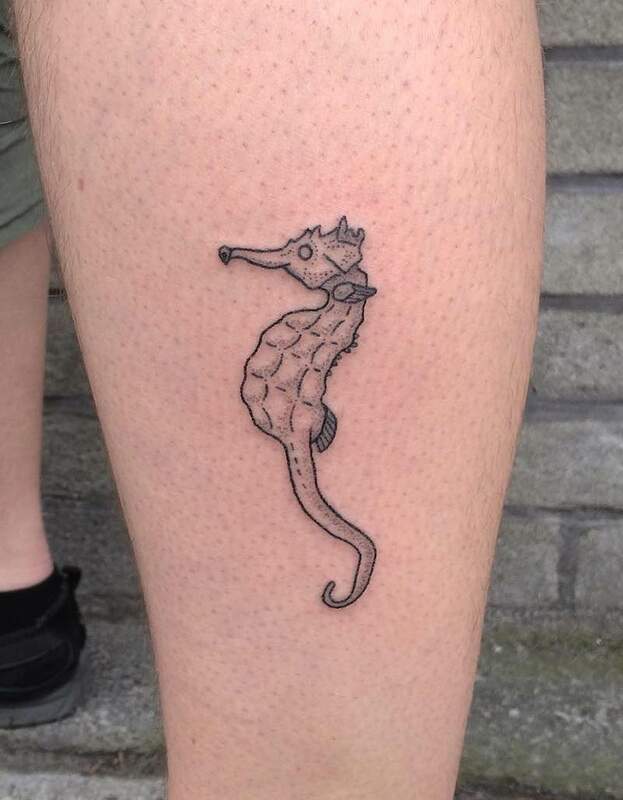 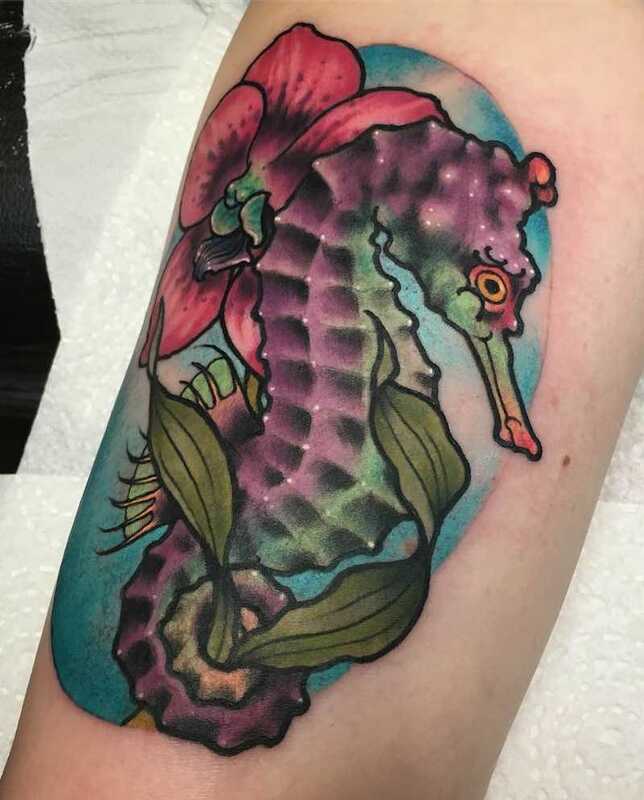 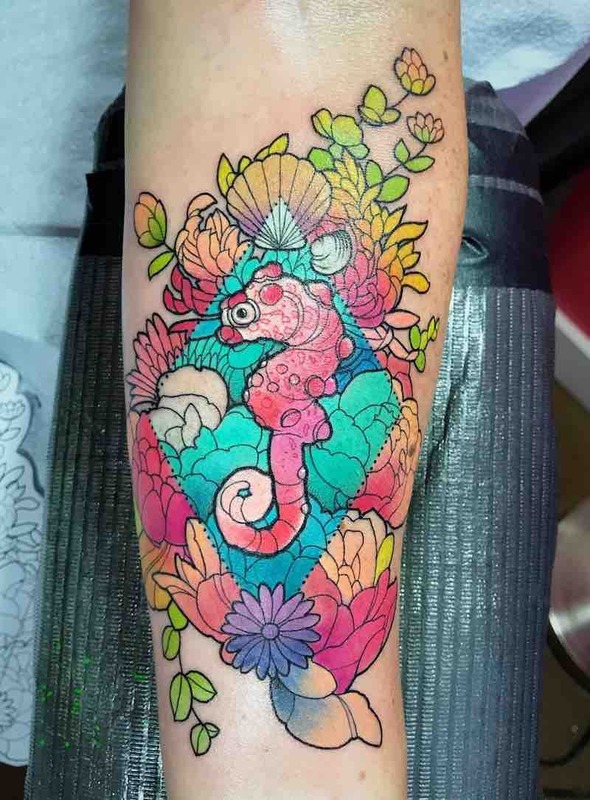 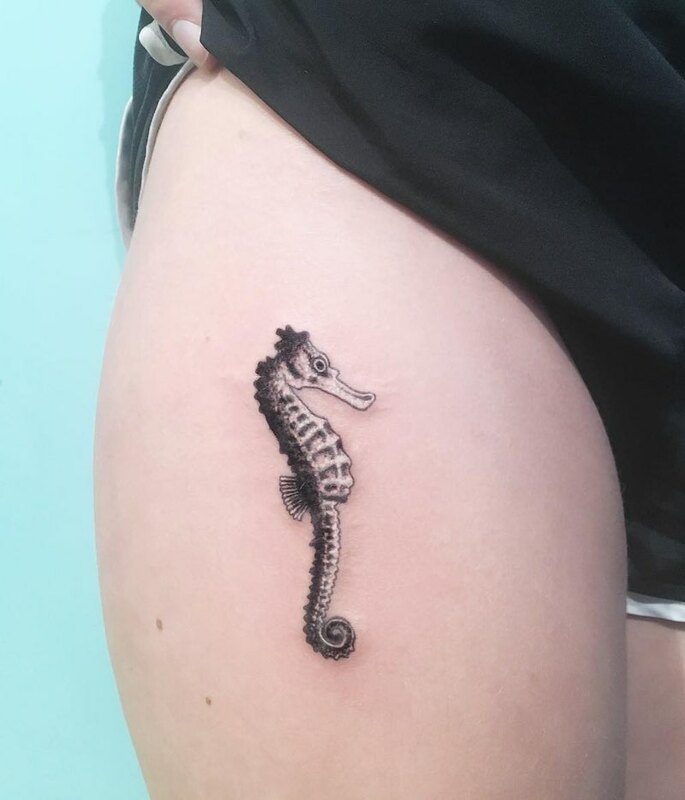 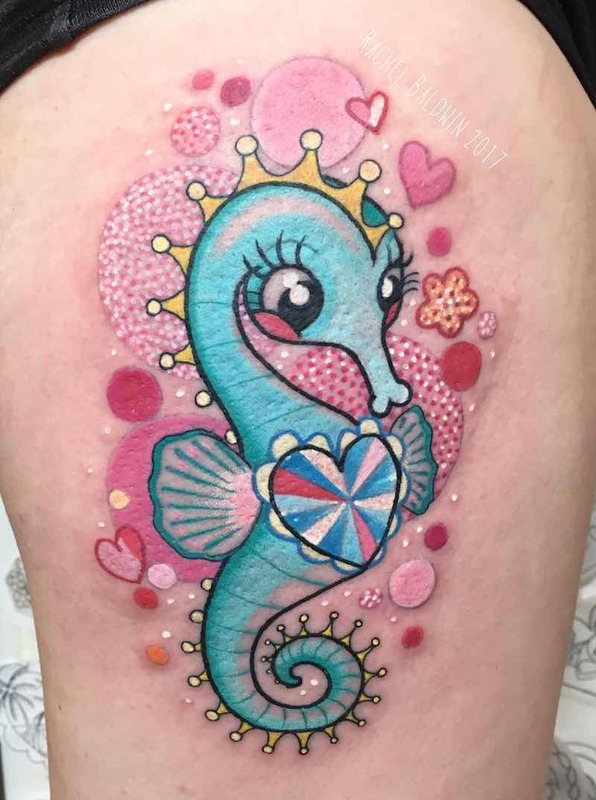 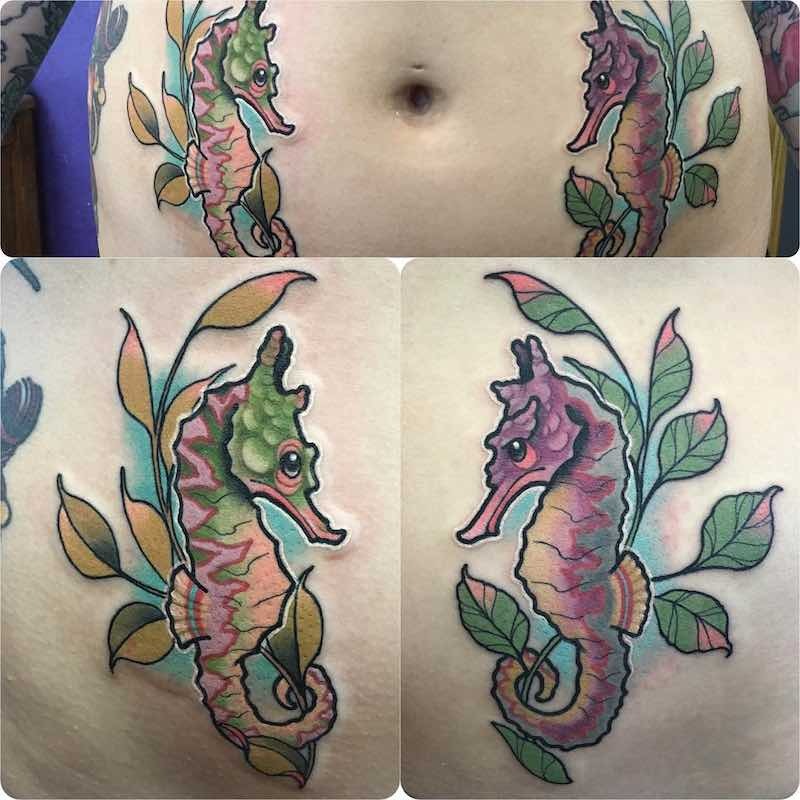 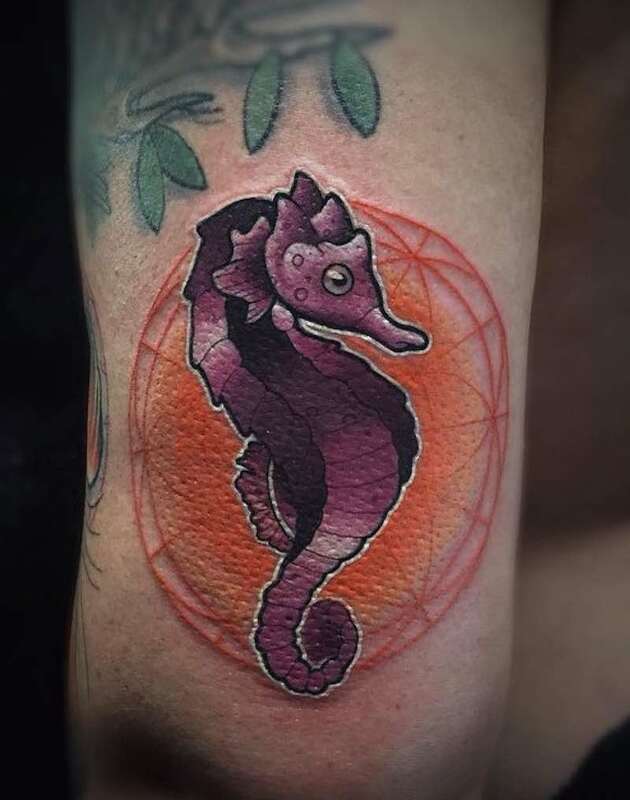 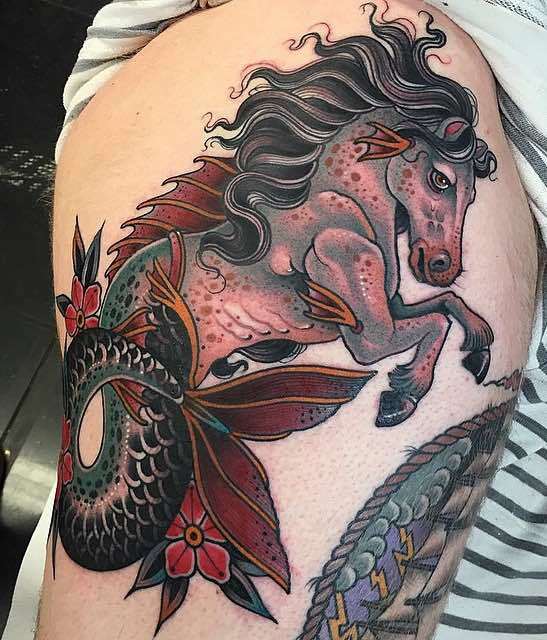 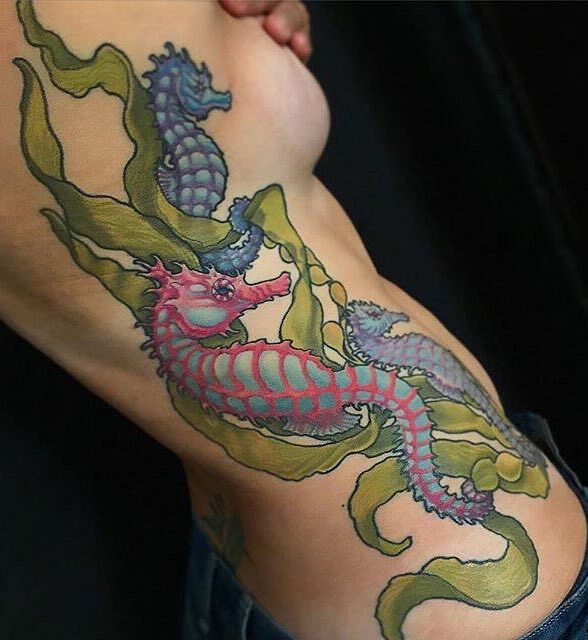 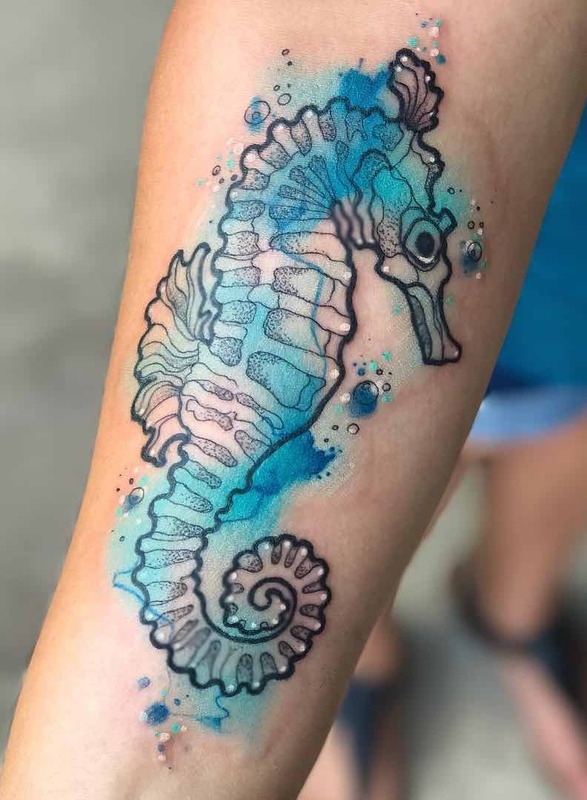 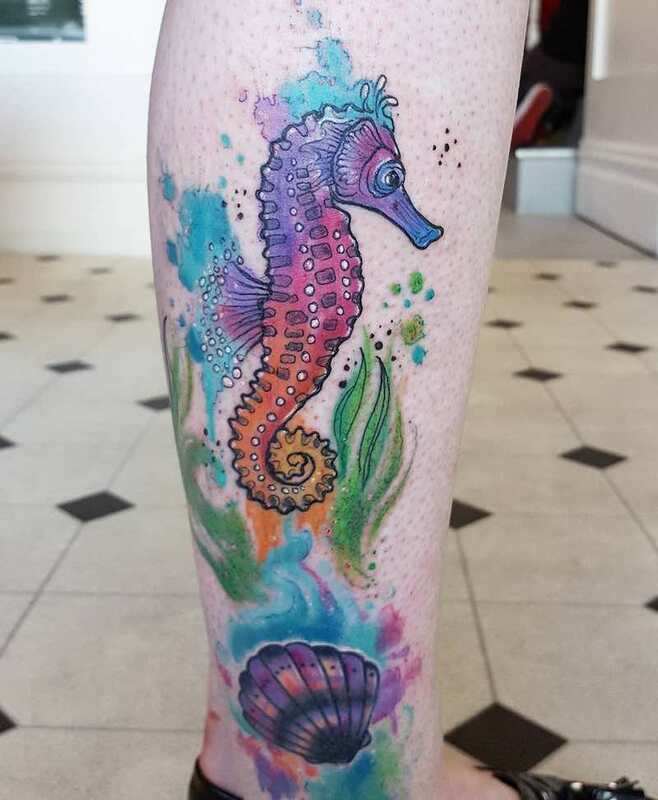 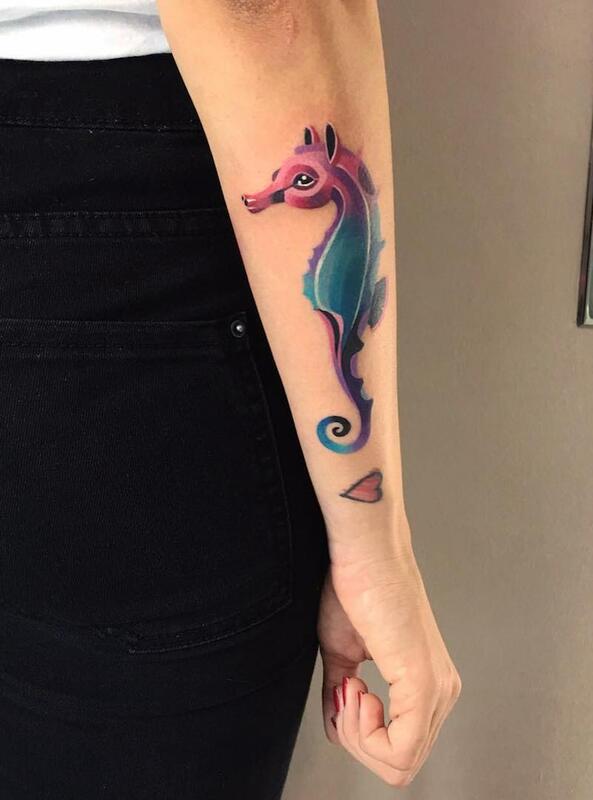 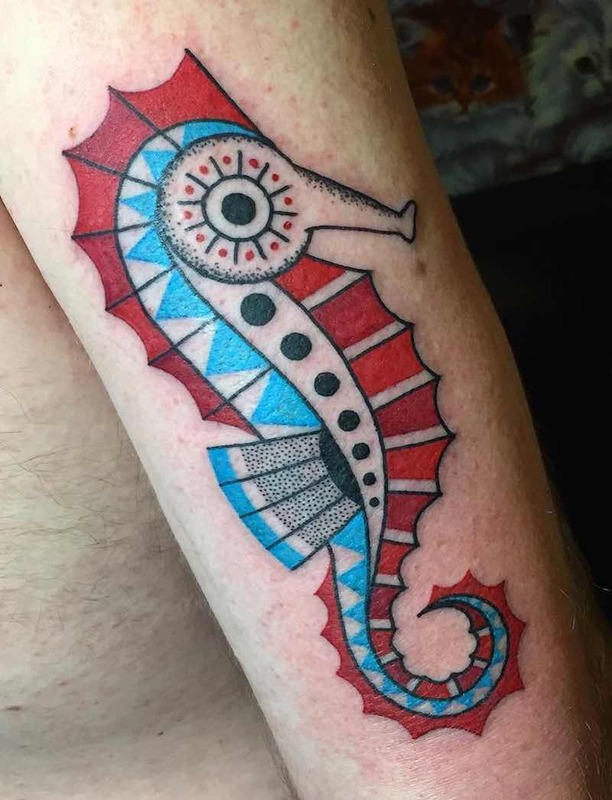 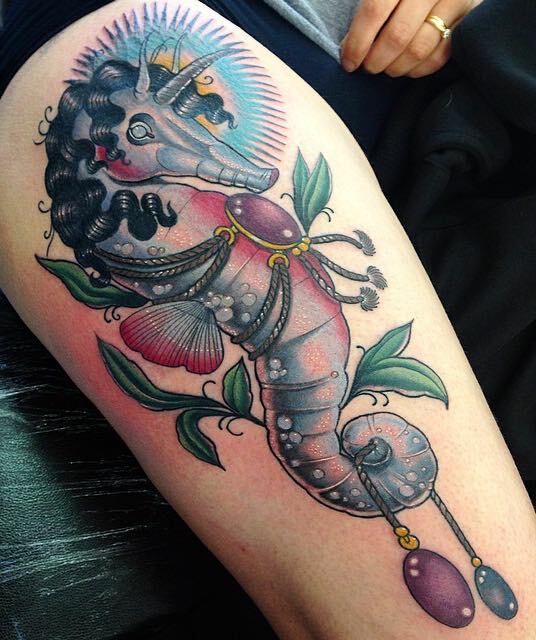 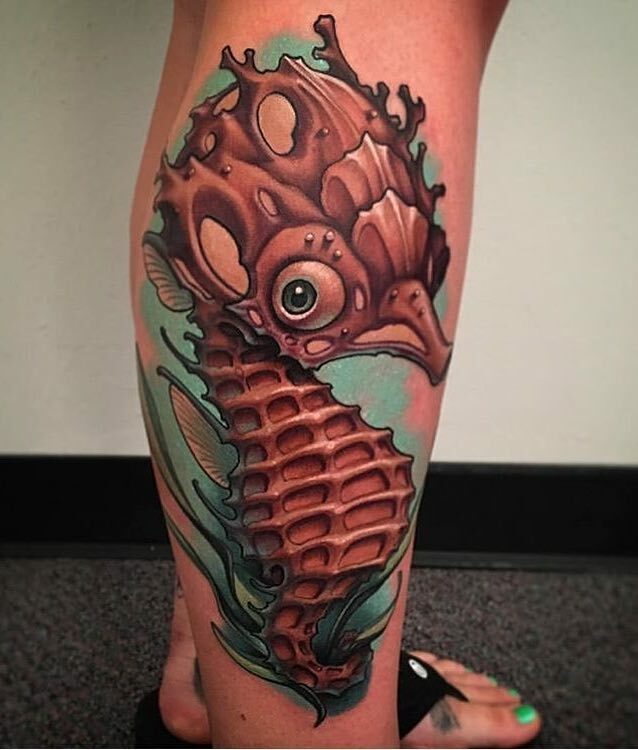 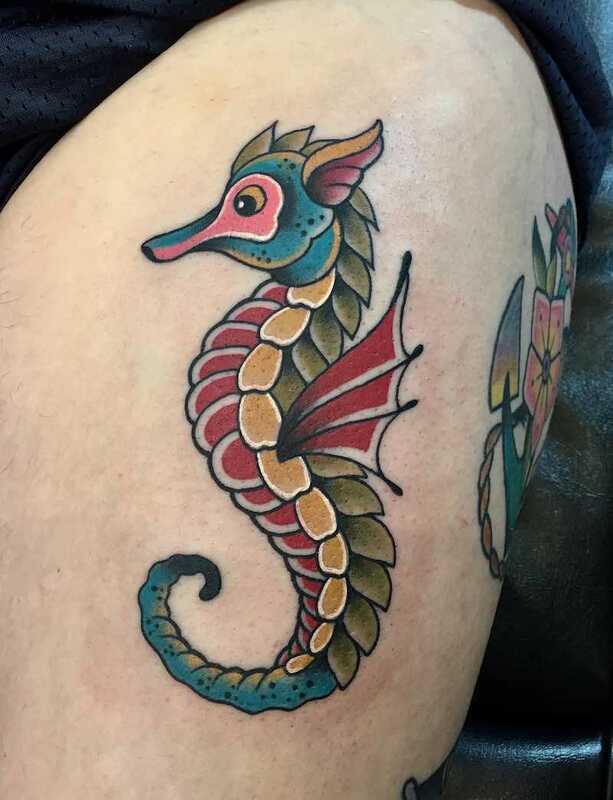 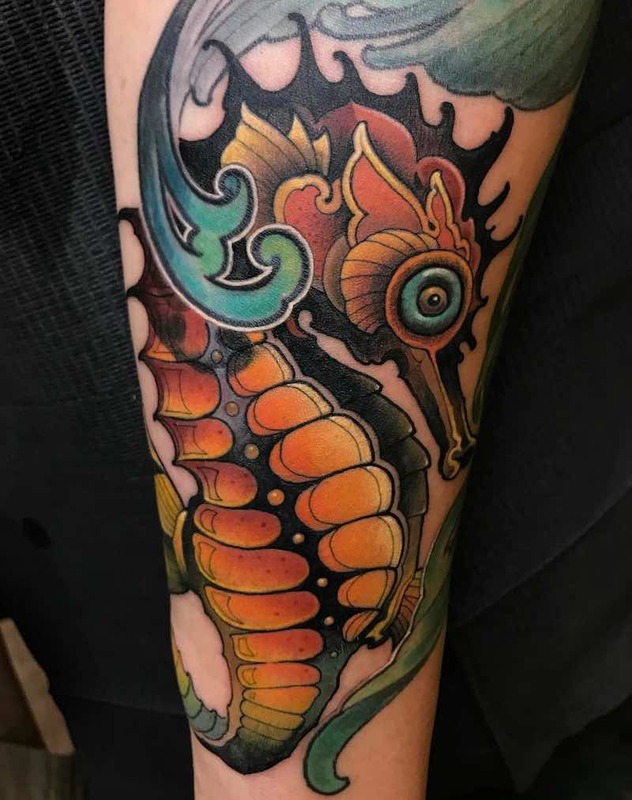 Although this is the most popular style of seahorse tattoo, there are endless ways to design a unique and creative piece. 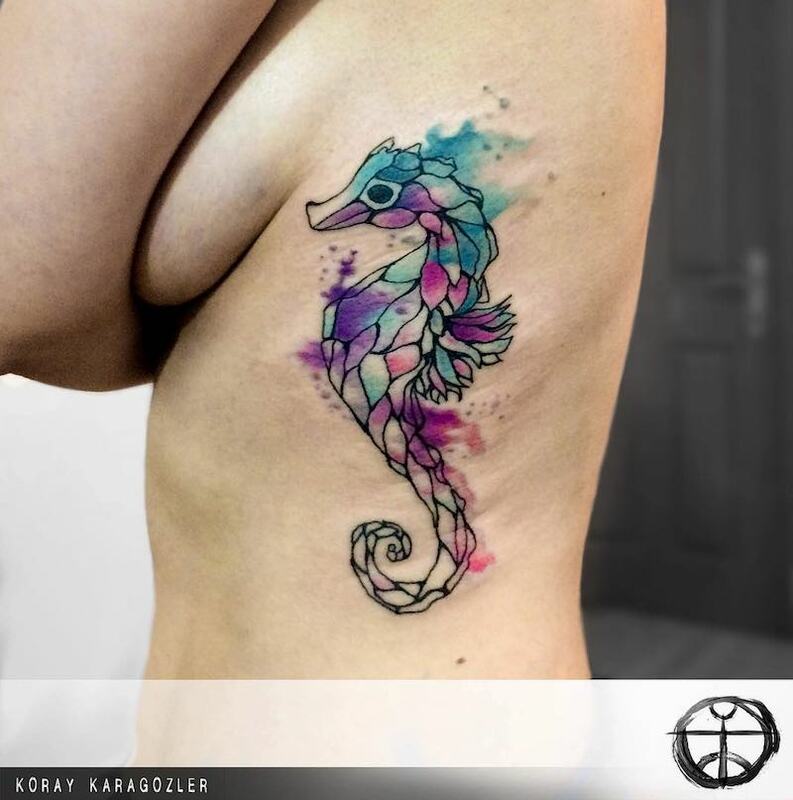 By using the right colors and style you can get a seahorse tattoo that’s suited perfectly for you. 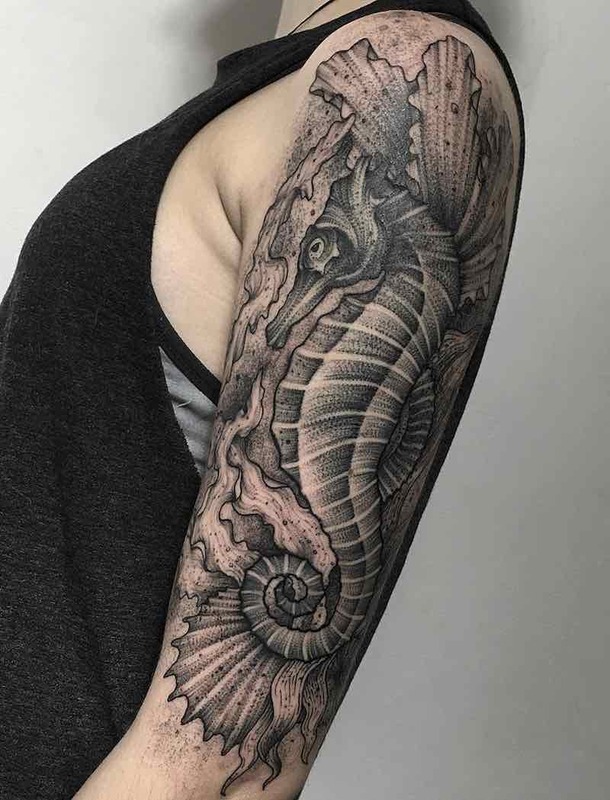 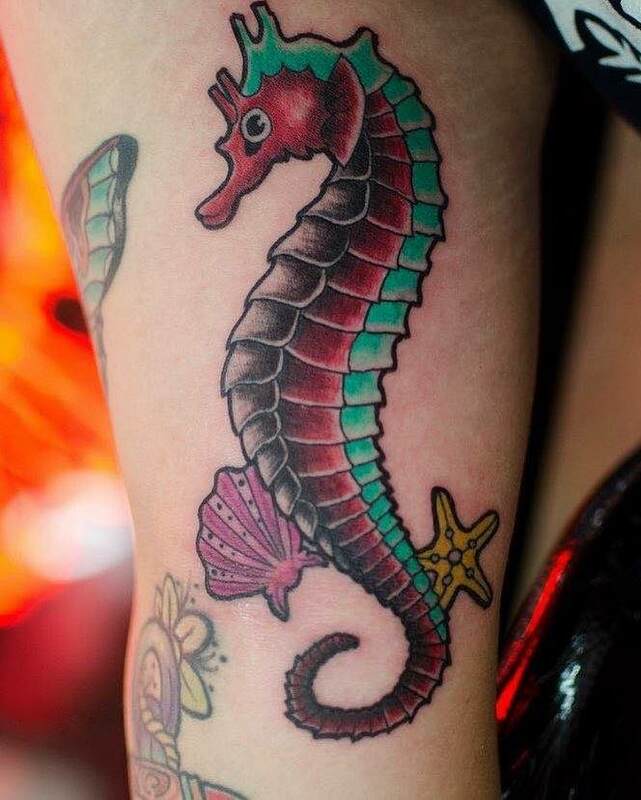 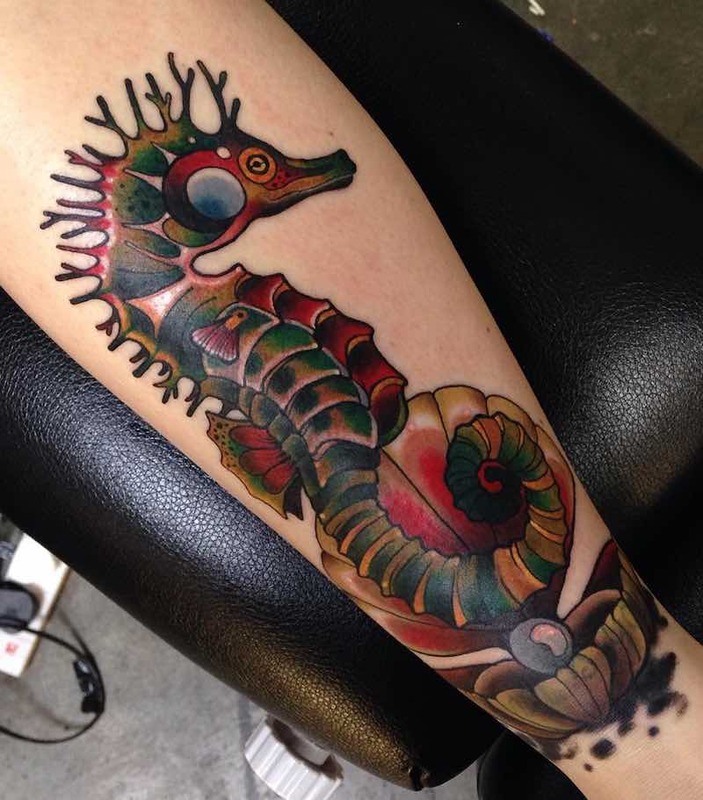 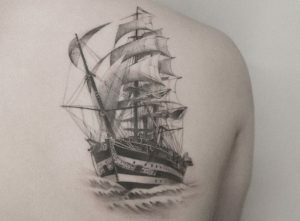 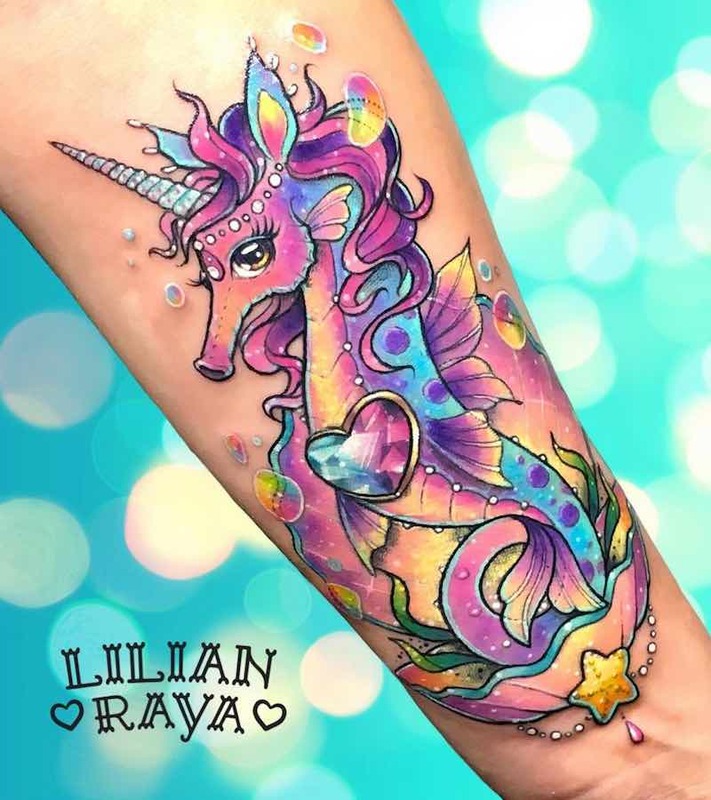 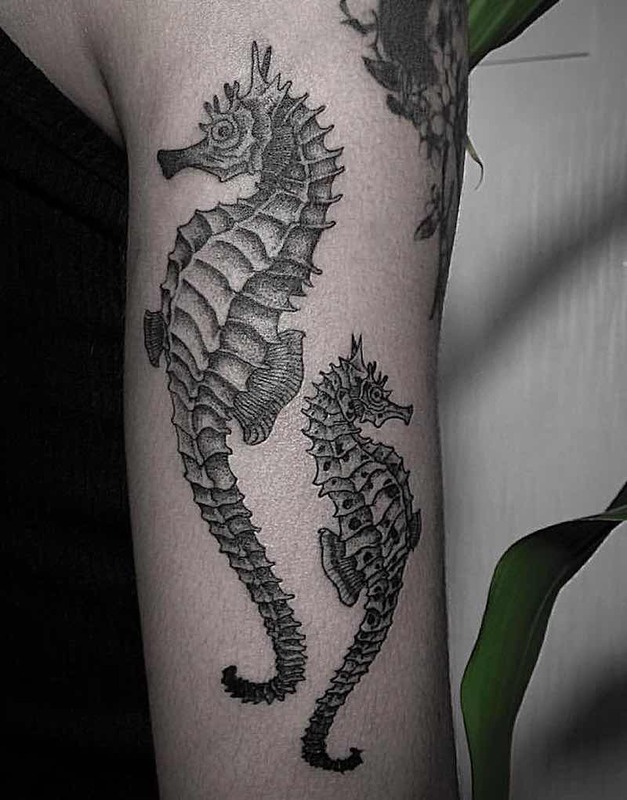 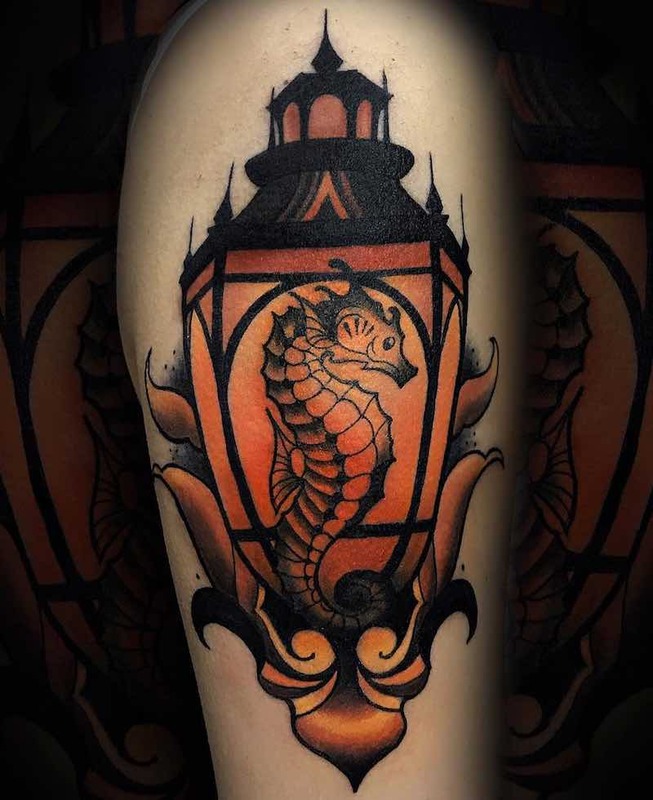 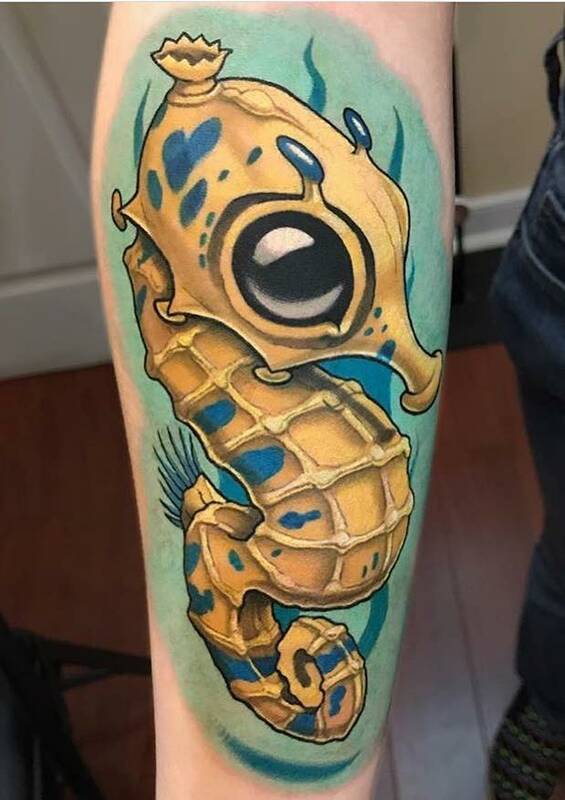 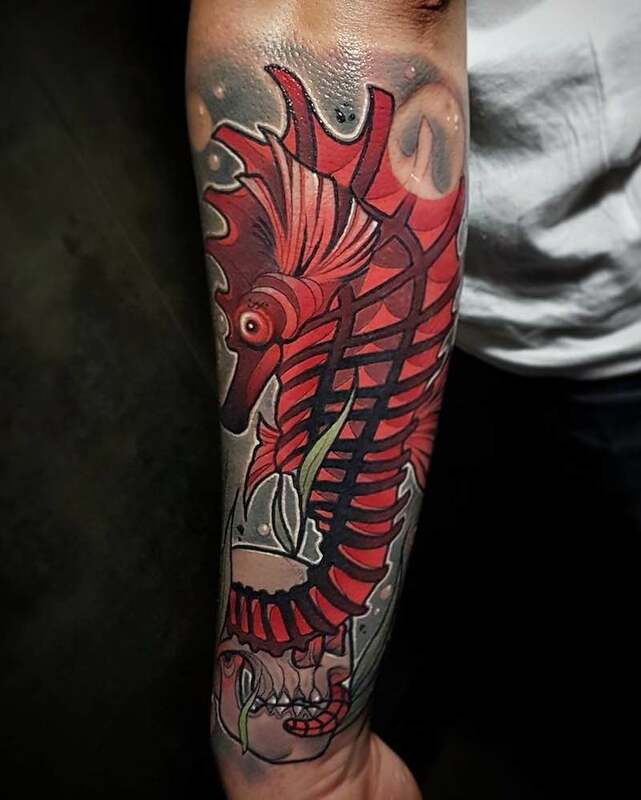 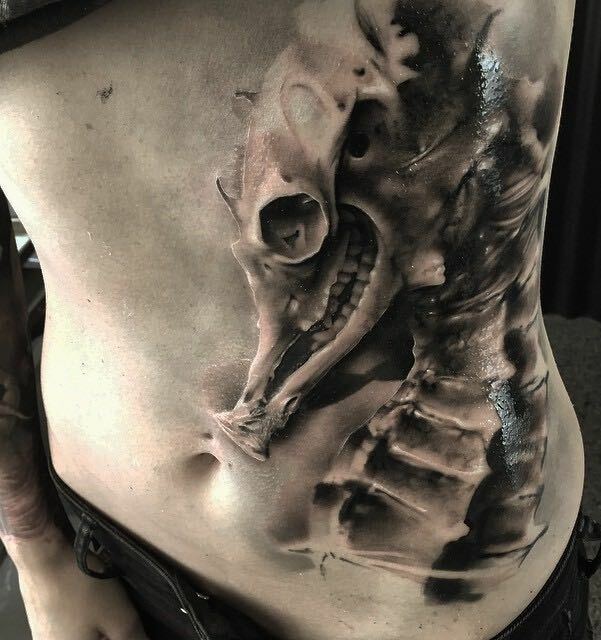 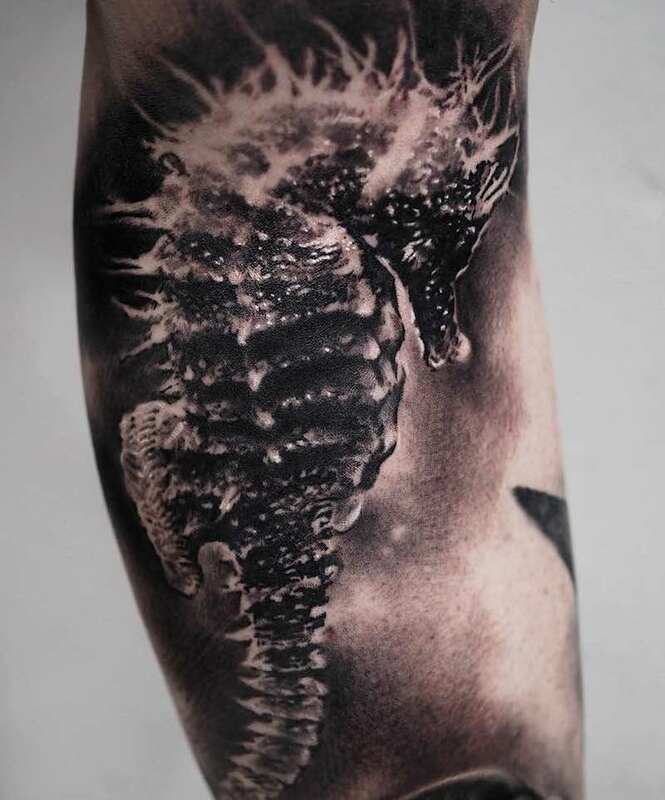 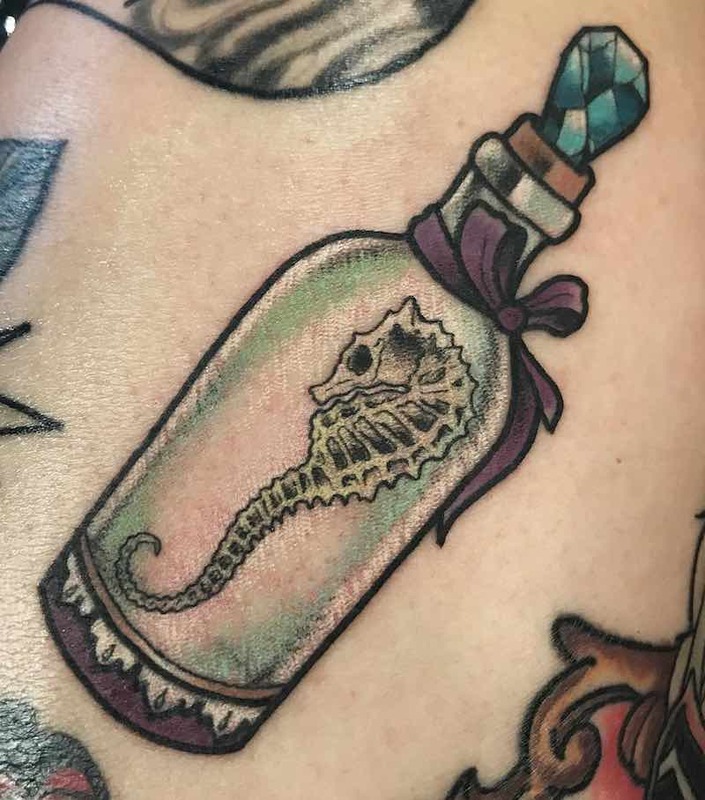 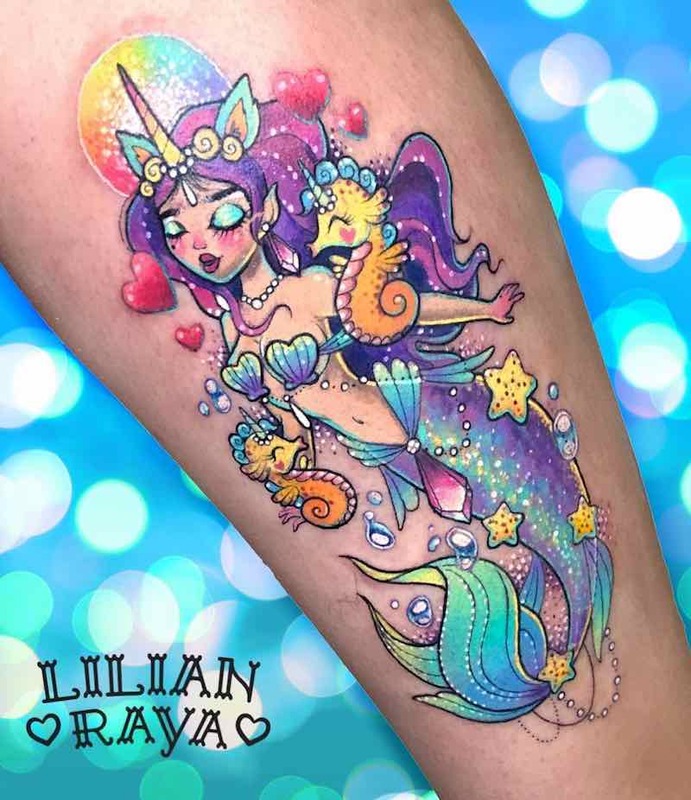 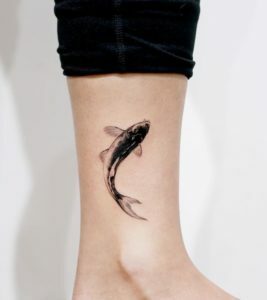 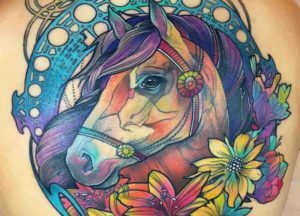 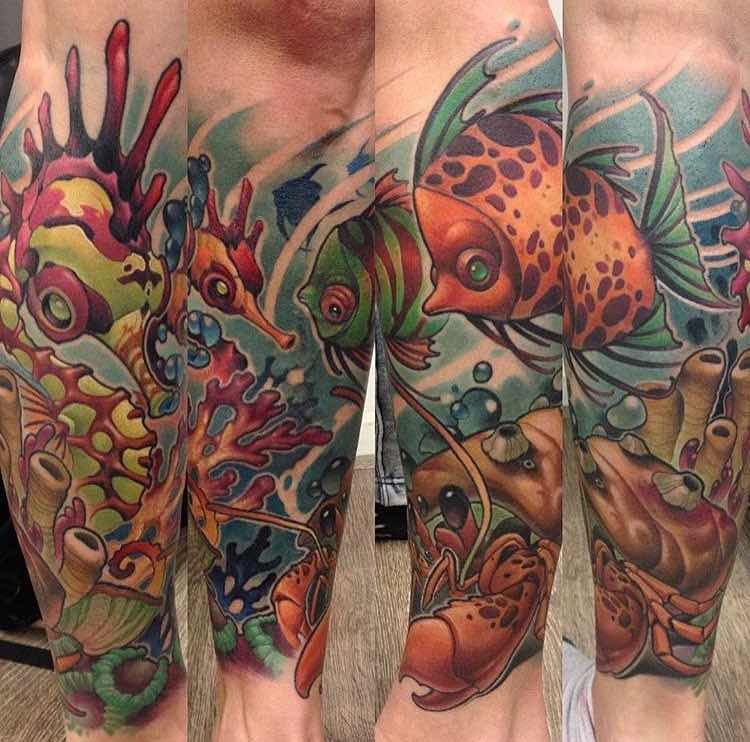 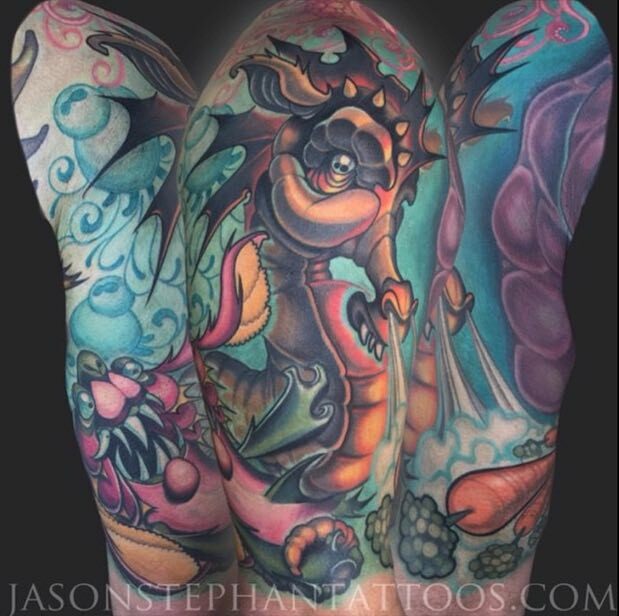 In this list, we’ve focused on the most original and well-done seahorse tattoos from some of the best tattoo artists.